Local attorney Dean Waite spends his Saturdays intensely watching SEC games. He has, however, a much different perspective on the action than most. For four years, he was on the gridiron making callsas a referee. 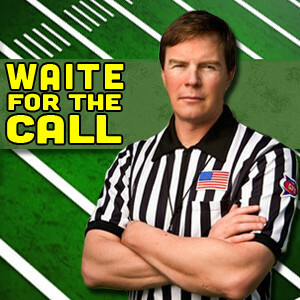 Now, in addition to his law practice, Dean joins Randy and Creg every Monday at 4:30 to go over calls and plays from the previous week in our weekly “Waite for the Call” segment. If you have a question for Dean, call in during the segment! Our studio talk line can be found on our Station Info page.